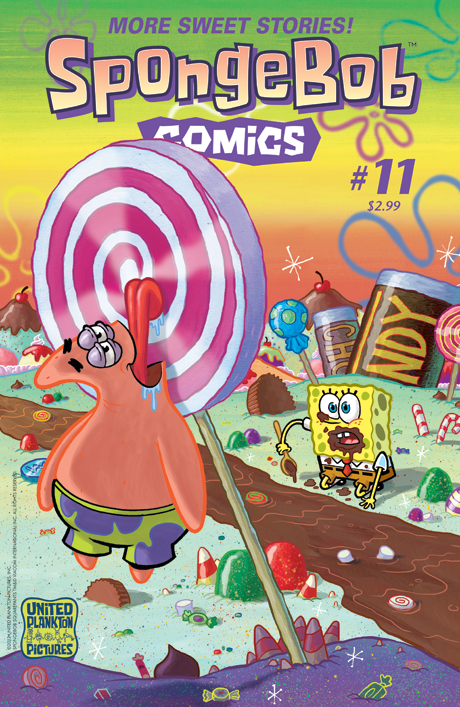 Patrick and SpongeBob go on a frenzied 3 AM quest for hidden candy in "Night Sweets." Then in "Dear Diary," Squidward's suggestion that Patrick start a journal results in daily misery...for Squidward! SpongeBob forgets to wear his square pants to work--and thus begins "The Big Cover-Up." And what is the secret of the new delicious sauce at the Krusty Krab? Find out in "Patrick's Sauce," but be prepared to gag just a little bit. All this plus a cover pin-up to drool for and step-by-step instructions by James Kochalka on how NOT to draw SpongeBob.